There are few things better than brewing up a nice cup of coffee while you’re enjoying a roaring fire and watching the sunrise. And it’s even better when you can brew your own coffee, even when you are miles from civilization. That’s exactly what a camping coffee maker is capable of doing for you. That’s why every serious outdoor enthusiast who enjoys coffee should own one of them. Being able to find the best coffee maker for camping isn’t always easy, however. There are a few things to consider before you run out and buy one. To help our readers enjoy a hot brewed cup of coffee while they’re enjoying the splendor of nature, we’ve decided to review ten of the best models available. Now every nature commune can be properly caffeinated. Anyone who likes to use a percolator to make camp coffee may want to take a closer look at this particular model. It’s made out of a heavy-gauge seamless stainless steel that seems pretty sturdy, even though they could’ve paid more attention to the glass cap and hinge rivet. It comes with both the basket and the percolator stem and has an easy-to-pour spout that will make just about anyone’s life easier. Since it’s made from stainless steel, this percolator heats up extremely quickly and stays hot once it has reached drinking temperature. This camping drip coffee maker works on pretty much the same principle as your home drip coffee maker, except it doesn’t require any electricity of any kind. 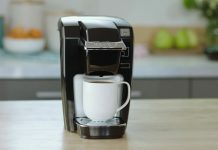 This model can brew 10-cups of coffee at a time, and even has a Pause N’ Serve feature which allows the coffee drinker to pull out a cup of coffee before it’s even done brewing. This model accepts standard 8 to 10-cup coffee filters and fits on most 2 or 3-burner camp stoves. These type of coffee boilers, also known as cowboy coffee makers, have been around for a long time and there’s a good reason for that fact. That’s because these models heat up quickly, don’t alter the taste of the coffee brewed in them and are easy to clean and maintain. Although this model’s metal lid clip is a little flimsier than we would’ve liked, the rest of this product is durable enough for camp use and brews a fine cup of Joe. Once this coffee maker has been hooked up to a 16.4-ounce propane cylinder, which is sold separately, all it takes is the press of a button to brew a nice cup of coffee. This coffee maker can brew up to 8-cups of coffee at a time, and its carafe holds 10-cups of coffee in all. This coffee maker can brew a pot of coffee in 20-minutes and on one propane tank, it can provide the camper with up to 4.5-hours of use. Although this product’s handle does get a little too warm when it’s left on the campfire, this camping kettle does do a good job at heating liquids. It can not only be used for making coffee but can easily be used for making soups, tea or hot chocolate as well. It has a 1.6-liter capacity and is made from a durable aluminum alloy. All of which makes it a decent camp coffee maker that should provide the camper with many, many cups of coffee over the course of its lifetime. This FDA-approved camping kettle is extremely small, but it is surprisingly well built. It’s durable enough to be used either at home or on the campground, and it’s lightweight enough to take just about anywhere. It can brew up to 42-ounces of liquid at a time, which makes it good for brewing coffee, tea or hot chocolate. It’s a kettle that’s not only suitable for campers but is also suitable for hunters, hikers or any other outdoor enthusiast who wants to enjoy a hot beverage. Campers often have to make important decisions on what to take with them to the campsite to maximize space and minimize the amount of weight they have to carry. Fortunately, this cooking kettle solves a multitude of problems and can be used to not only make coffee but also can be used to cook hot meals. It has a 1.5-liter capacity and comes with a kettle lid, a bowl and a stuff sack. It might not be the most sophisticated coffee making solution, but it is easy to carry and easy to use. This heavy-duty 12-cup percolator is made from stainless steel and makes a fine cup of coffee. It comes with a permanent filter basket that allows the camper to eliminate paper filters altogether and it has a non-reactive interior that doesn’t impart odors or tastes to your coffee. This coffee maker is dishwasher safe and is easy to use. Although its glass cap doesn’t feel very durable, you can clearly watch the coffee percolate through it. Everything considered, it’s a fine way to make camp coffee and will be useful to just about any camper. This camp set can be used to not only brew coffee, but it can be used to boil soup as well. It is made from stainless steel and it has a vented nylon lid that’s pretty much melt-resistant. It’s also equipped with a convenient locking handle. To make a great cup of coffee with it, all the camper has to do is bring water to a boil, add coffee to it, and then press the plunger down like a French Press. Although the press part can be a bit difficult to fully depress the first couple of times it’s used, once it’s broken in, it works like a charm. It’s a quick and easy way to brew coffee while you’re camping, hunting, fishing or hiking your favorite trail. A great cup of camp coffee needs a coffee maker that’s capable of doing the job but still remain light enough to be taken to the camp in the first place. Fortunately, this camping coffee maker is such a product. It’s made from BPA-free copolyester, so it’s durable and shatter resistant as well. It’s capable of brewing 30 fluid ounces of liquid, which is about 4-cups of coffee. It has a double-walled insulated lid so the Java stays hot, and its water-resistant cloth exterior allows the camper to hold it without burning their hand. All of these things combine to make this coffee maker a great companion for the lonely trail or for anyone who wants to enjoy a cup of Joe on the go. There are a million different ways to enjoy a hot cup of coffee, but few of them can compare with enjoying a cup of Joe while you’re camping. Breathing in fresh air, enjoying the sounds of birds singing and sitting around a roaring fire somehow all come together in a way that just seems to make coffee taste better. Of course, if you’re not careful about how you brew your coffee, you can still brew a bad cup of coffee. It might even be easier to brew a bad cup while you’re camping then when you’re in your own kitchen. That’s why we’ve decided to put together this little guide which will tell you how to make a cup of coffee while you’re camping. 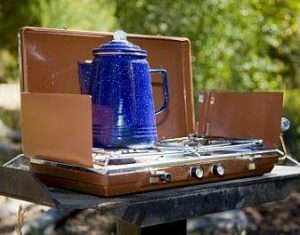 Campers have several options when they’re making a cup of coffee while they’re camping. They can choose to use a drip camping coffee maker, a percolator or a French Press. Either of these methods can be used to create a great cup of coffee, but you have to know how to properly use them to get the best effect. If you use any of these coffee making tools improperly, then you’ll end up with a cup of Java that doesn’t taste all that great. Having stated that fact, let’s get started and find out how to brew a great cup of coffee with your preferred method of brewing. 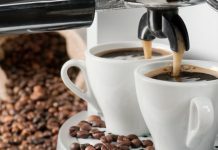 Now that you have chosen your preferred method of brewing, and have gathered your coffee grounds, then you are ready to begin brewing your own coffee. Here are the various ways that coffee can be brewed at your campgrounds of out of the back of your RV. 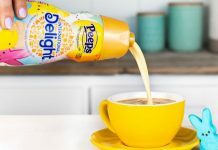 Although we’re sure there are various models of camping drip coffee makers, the ones that we’ve concerned ourselves within this article are propane powered ones and ones that sit on the campfire. However they’re heated, the basics are pretty much the same with each model, except with a propane model you have to connect the device to a small propane tank. These devices are operated by pouring water into the back reservoir. Coffee grounds are then spooned into the swing-out filter basket. The propane models are then started, and the stove-top models are placed on a camping stove. These coffee makers make coffee in 15-minutes or less. Making coffee using a percolator is pretty simple. Open the percolator’s lid, remove the basket insert and the tube and set them aside. Then place clean water into the kettle. Place a filter in your basket and add a couple of tablespoons of coffee. Reinsert the tube and the basket into the percolator and place the lid back on it. Now, all you have to do is place it on your preferred source of heat. Within about 10-minutes, you’ll have fresh, hot coffee that you’ll love to drink. French press coffee is really simple to make. For each cup you intend on brewing, add one tablespoon of freshly ground coffee. Once you’ve done that then you can boil one cup of water for each cup of coffee. Once the water has reached a boil, allow it to sit for 30-seconds and rest, so it can come down to the perfect brewing temperature. Now pour half of this water into your press, and let the coffee bloom for 60-seconds. After that’s been done, finish adding the rest of the water and allow the mixture to steep for 2 to 3-minutes, depending on your coffee strength preferences. When it’s done brewing, press the plunger down as far as it will go. You can now pour your coffee into a coffee cup and enjoy its aroma and flavor.